For the compassionate adventurer! The Reef Rover SL are specially made athletic sandals of Vegan synthetic leather upper and footbed that happen to have the look of real leather. Animal friendly and water friendly in one stylish sandal. 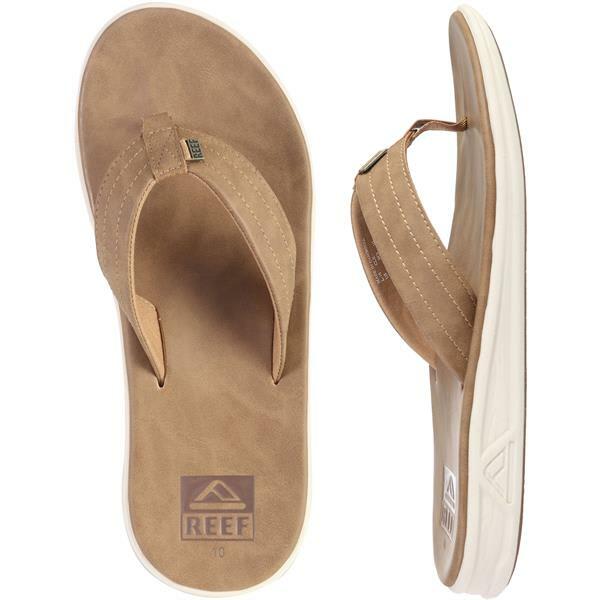 Designed with Reef's Signature SWELLULAR TECHNOLOGY rubber outsole tread pattern that mimics the lines of the ocean for ultimate traction on beach, street, pool deck, rock, or coral. 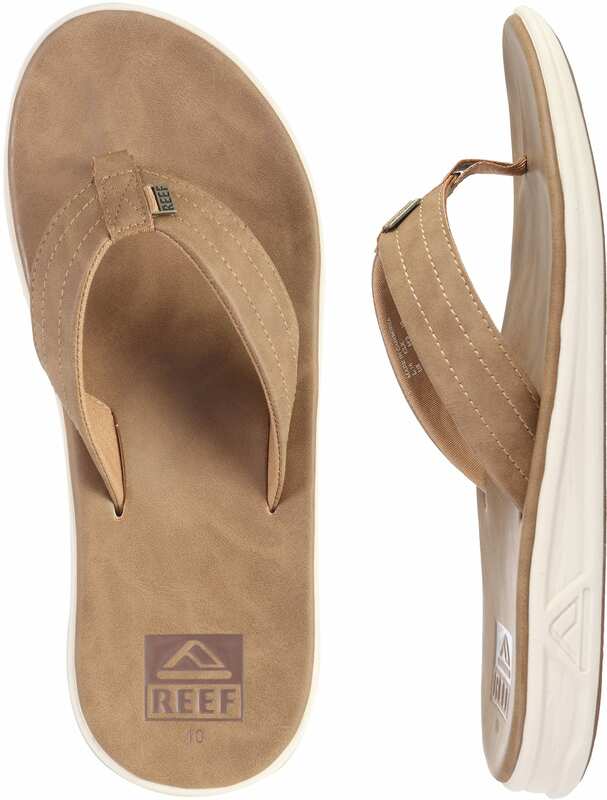 These men's sandals from Reef also have a compression molded triple density construction for instant comfort, support, and traction.